Even with much of the summer heat focused on Wendy’s and Publix, there’s certainly more than enough energy in the Fair Food Nation to share some with the other large supermarket chains that continue to turn their backs on the Fair Food Program — including Kroger, the nation’s second largest retailer after WalMart. 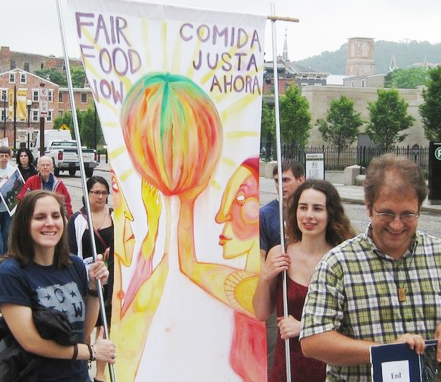 On June 27 in Cincinnati, Ohio, over 60 protesters braved the rain to gather outside of Kroger’s annual shareholder’s meeting and call on the massive supermarket chain to respect the human rights of farmworkers. 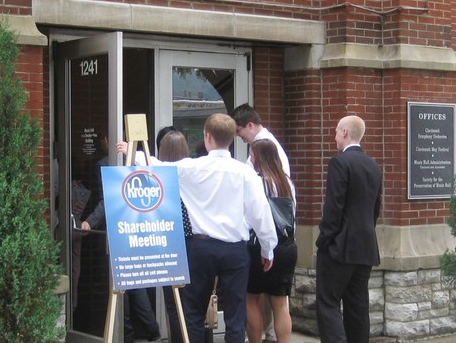 Even as CIW and consumer representatives gathered with other shareholders inside the meeting (more on that in a minute), the energy outside was so high that picketers decided spontaneously to march from the meeting to Kroger’s HQ a half-mile away! 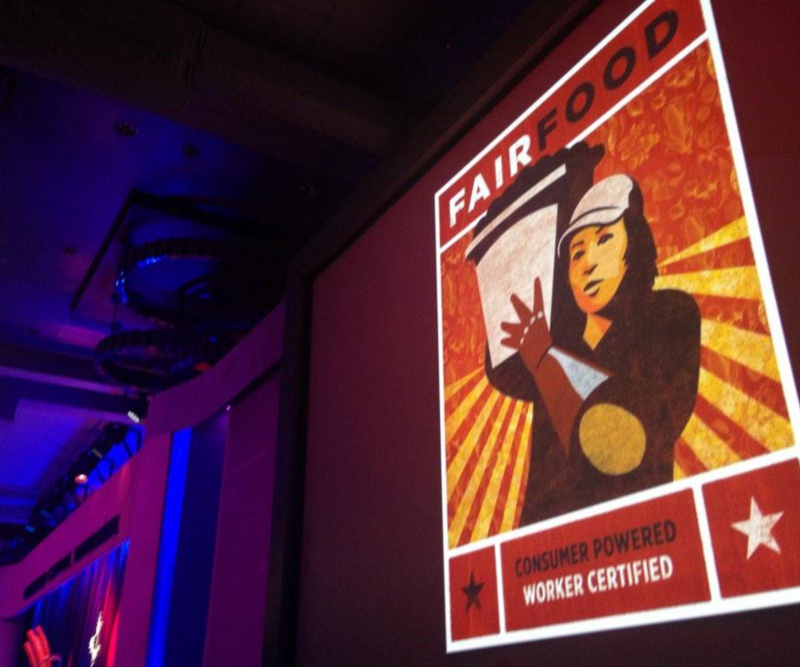 […] This is the fourth year that CIW representatives have attended the Kroger shareholder meeting. This year the Responsible Endowments Coalition provided Stein and Benitez with proxies, so they were permitted to speak in the meeting for the first time. 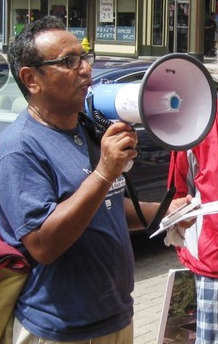 […] The Coalition of Immokalee Workers’ Fair Food Program, through which farmworkers, growers and corporate food buyers are successfully ensuring the human rights of tomato workers and improving the conditions under which they labor, is a prime example of the ILO principles in action. 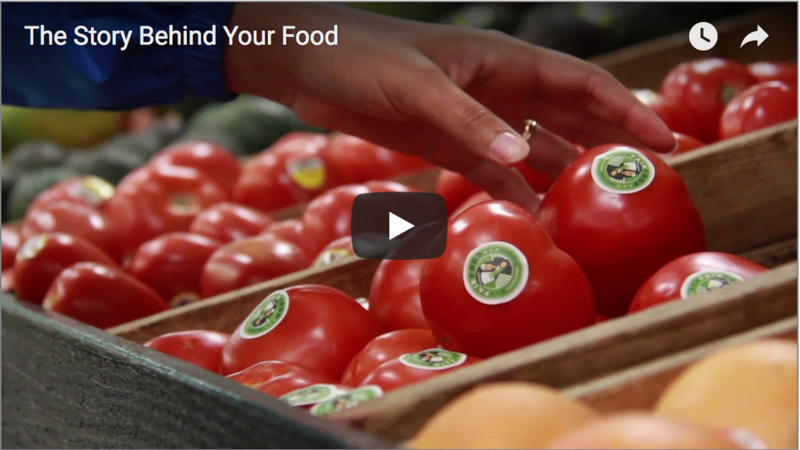 The 11 leading restaurant, food service, and supermarket companies that have already committed to the Fair Food Program agree to a strict code of conduct, a cooperative complaint resolution system, a participatory health and safety program, and a worker-to-worker education process. 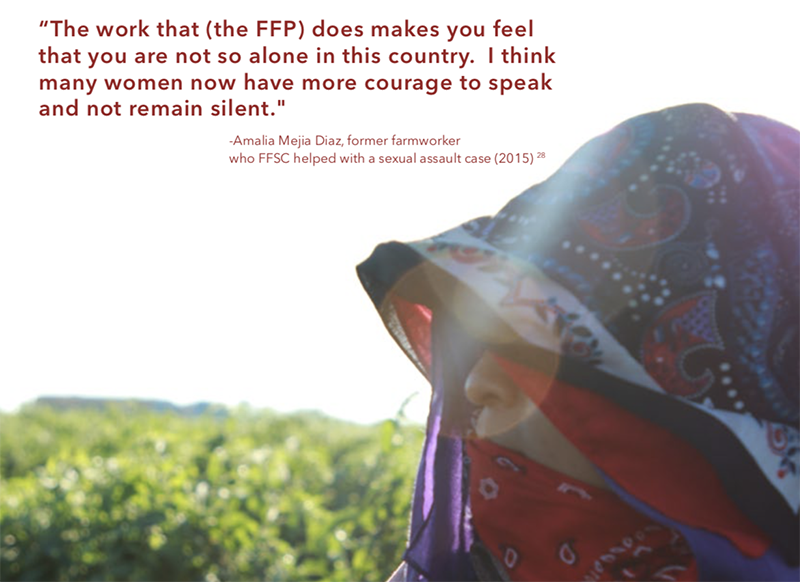 The Fair Food Program was singled out in an April 2013 report of recommendations to the President as “one of the most successful and innovative programs” in the world today in the fight to uncover — and prevent — modern-day slavery. 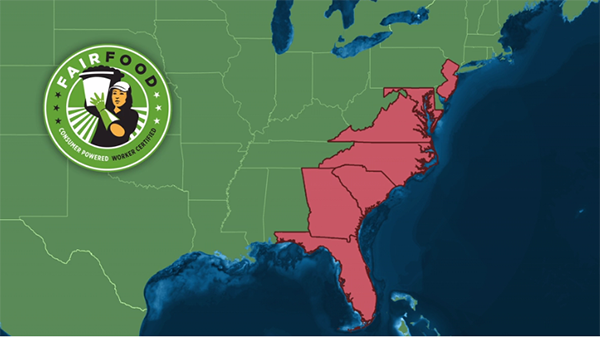 We urge Kroger to join the Fair Food Program to address real human rights risks in our supply chain and ensure the highest levels of accountability and real change because of independent monitoring through the Fair Food Standards Council. Kroger has a well-earned reputation for treating its employees fairly. 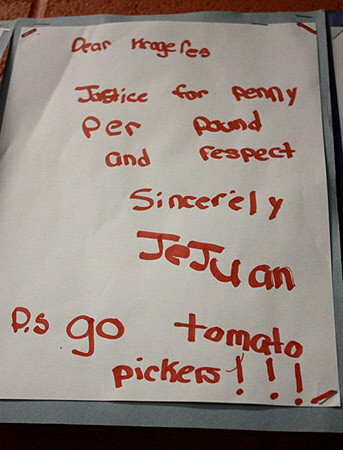 Farm workers in our supply chain deserve the same treatment. We ask all shareholders to support this resolution and ask our Board and management team to make the human rights and dignity of our entire workforce a priority by joining the Fair Food Program now. Thank you. Dave Dillon, CEO: I just wanted to add a couple of observations. We actually share many of the objectives that you’ve described, and so I don’t even see much disagreement on some of the issues you’ve tried to describe in what we hope for the world around us. We believe though at Kroger that our code of conduct reflects our values of safety and respect in a very meaningful way. We lay down a hard line with suppliers that fail to adhere to our code of conduct; we don’t do business with them. We conduct social responsibility supplier audits, particularly in the Immokalee region. And we did not find any evidence of violating our code of conduct. And we also sent a team of our own auditors and compliance professionals to the region to survey working conditions and meet with suppliers. 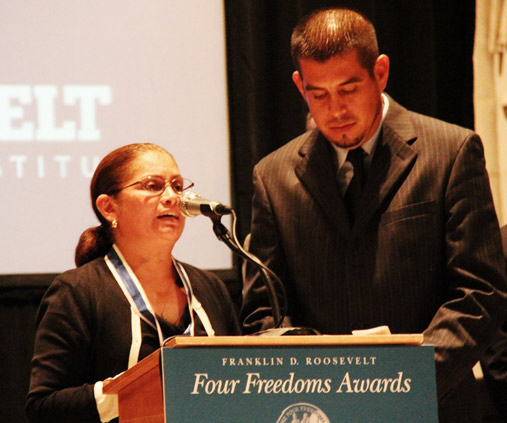 “My name is Lucas Benitez and I am a representative of the Coalition of Immokalee Workers (CIW) of Florida, an internationally-recognized farmworker organization addressing the longstanding history of abuse in the fields. For the past four years, we have come to this meeting to ask how Kroger could justify refusing to meet higher ethical standards in their U.S. grown tomato supply chain, when 11 other major corporate buyers, such as McDonald’s and Subway, are already participating in our Fair Food Program. Kroger’s empty references to its own self-monitoring of its supply chain stand in stark contrast to the Fair Food Program, a proven, established solution to decades of farm labor abuses, such as sexual harassment and modern-day slavery. The Fair Food Program has been lauded by United Nations human rights experts for its ‘independent and robust enforcement mechanism’ and praised by the White House for its unique effectiveness in the prevention of forced labor. If Kroger professes a commitment to upholding the rights of those who make possible its profits, why haven’t you listened to the thousands of Kroger customers calling on Kroger to participate in the Fair Food Program through letters, protests and marches? Dave Dillon: No hablo espanol, so I appreciate the willingness to explain the words to me, that’s very helpful. We actually welcome you here. We appreciate the issues that you are raising with us today, and we’ve appreciated it each of the previous years that you’ve come. We believe that it is important for us to have a solid working relationship with our suppliers and find it more than awkward — in fact, difficult — to do a business arrangement, or to have to negotiate, both with our suppliers and with the labor groups that are working with our suppliers. So instead, we’ve tried to approach this from, I think, a very responsible way to ensure ourselves that the issues are being handled in an appropriate way through our code of conduct. We’ve chosen, and we believe its important to choose this way to not get involved in the labor discussions between the supplier and your group. Nonetheless, we respect your right to be here, we respect the voice that you are giving to this cause and the issues that you bring. So thank you for being here. Since we’re all speaking Spanish here, it seems like a good time to share an age old Spanish proverb with Mr. Dillon, which goes like this: No se puede tapar el sol con un dedo. Translated: You can’t block out the sun with your finger. You can try this at home. If you lift your finger and cover the sun just right, it may look to you like your are blocking out the most powerful source of light — and life — in our corner of the universe with just the tip of your finger. But that is nothing more than an illusion. The sun is not blocked, its heat and light are every bit as strong as ever, and only from your very limited perspective does it even appear that you have managed to dim its immense power. 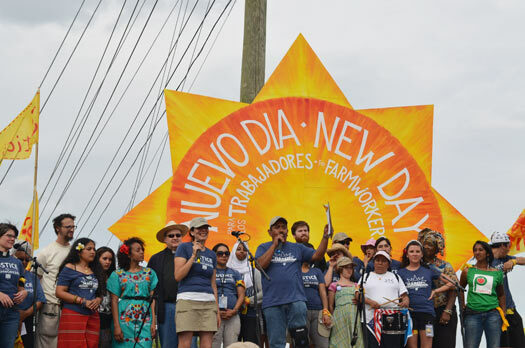 The light of the new day dawning in Florida’s fields — thanks to the remarkable partnership (not dispute) among farmworkers, growers, retail buyers, and consumers — is no different. 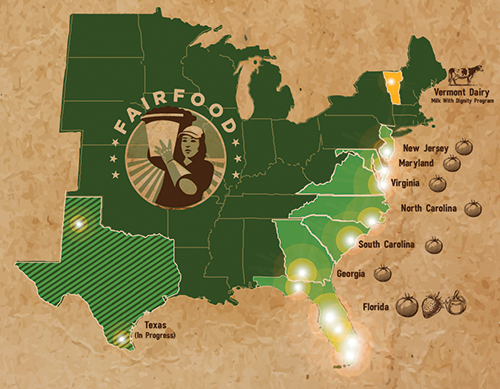 The Fair Food Program is a powerful new force in the world of agriculture, casting light into the darkness where human rights violations once flourished without consequence, giving hope for a better life where farmworkers were once locked in a world of poverty, humiliation and abuse. 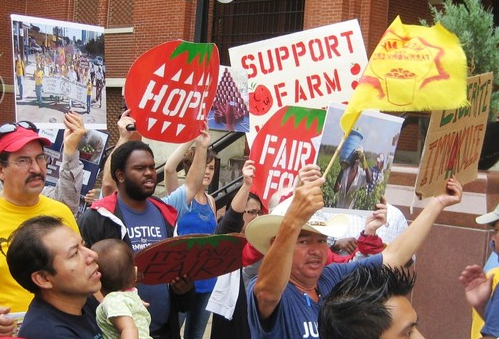 That old world of farmworker exploitation was an undeniable part of Kroger’s business model, of Kroger’s profits, for decades. But the Fair Food Program is bringing an end to that model, just as inevitably as the first light at dawn signals the end of night, whether or not Mr. Dillon — and his counterparts at Wendys, Ahold, and Publix — choose to close their eyes to the facts in their company’s supply chains. 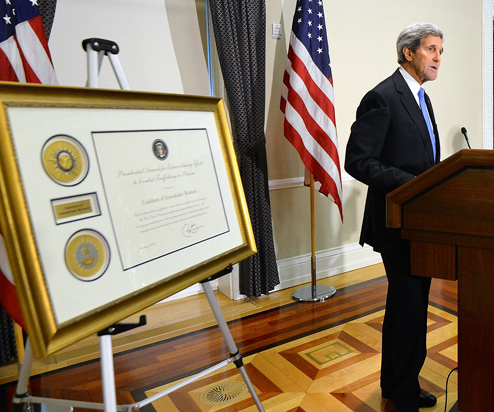 While they may think their empty words, like a thin finger thrust at the sun, somehow overcome the inexorable power of human progress, their consumers, their competitors, and objective human rights observers from the White House to the United Nations decidedly see things differently. For them, the Fair Food Program shines brightly as the most encouraging news from the fields in generations. No se puede tapar el sol con un dedo. Look it up, Mr. Dillon. The Spanish lesson is on us, as is the time and trouble you will save Kroger by joining the only social accountability program that can truly eliminate human rights violations in your company’s supply chain, not just block them from your sight.